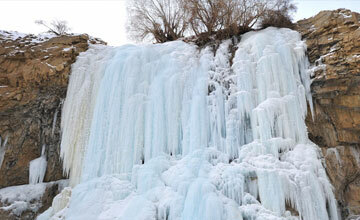 Ladakh Zanskar trekking is one of the most rewards trekking destination in India. 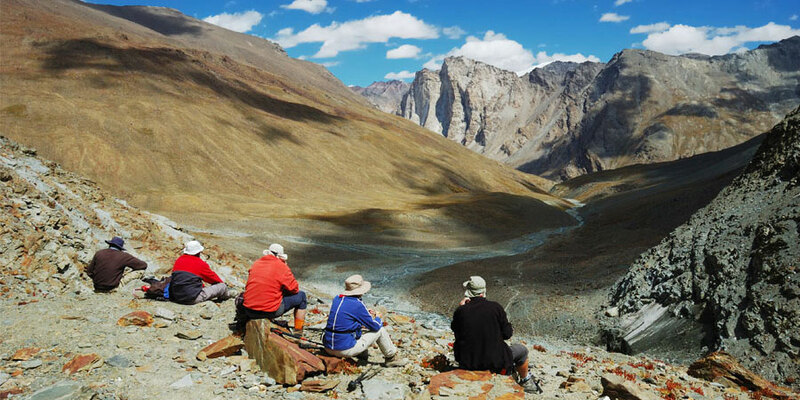 Ladakh zanskar trek known as Leh Ladakh trekking take trekkers western end of the Himalayas a series of continuous mountain ridges, comprising scores of 6000 metre (20000 foot) peaks, forms an effective barrier between the Indian provinces of Lahaul and Ladakh. 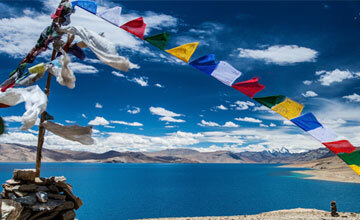 India Ladakh zanskar trekking offer beautiful Himalayan views , lush valley, temples & beautiful landscape. 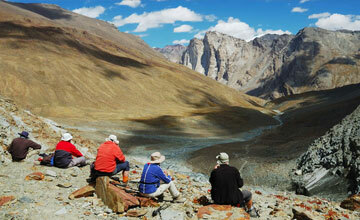 Ladakh Zanaskar trekking tour is marvelous trekking destination for lifetime journeys in Indian Himalayas. Autumn & spring is best time trekking in Ladakh Zanskar but we Himalaya Journey Trekking arrange around the year as per travelers wish and holiday schedule with personalized service. 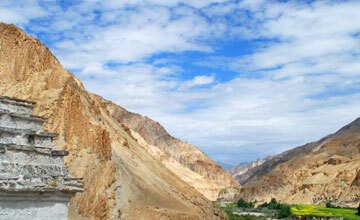 Good physical fitness and minimum three weeks holidays required for Leh Ladakh zanskar trekking. 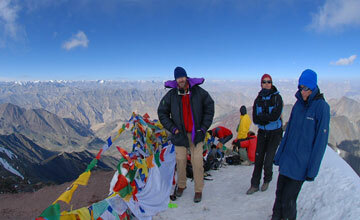 Since Ladakh trekking trail has been open we Himalaya Journey Trekking arrange numerous groups in relevant areas. 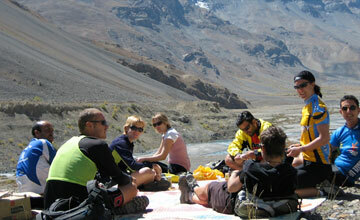 Day 04: Darcha - Palemo (3600m) in 5h: Leave Darcha, We start our journey with an easy walk into the valley. En route, we will visit the Chika and Rarik monasteries. Day 06: Zanskar Sumdo - Chumi Napo (4640m) in 5h: Early morning trek from Zanskar Sumdo to Chumi Napo. 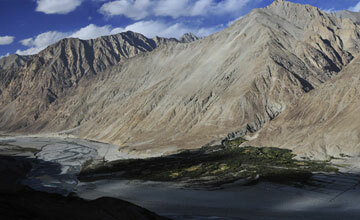 The route leaves the valley and starts climbing up quite steeply towards the Shingo La pass. Day 07: Chumi Napo - Shingo La (4460 m) - Lakham (4470m) in 6h: Prayer flags flapping in the wind mark the Shingo La pass, surrounded with fascinating views of the glaciers. 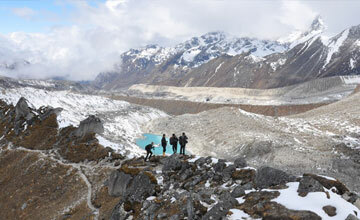 An easy traverse of a glacier takes us to the valley and to the Lakham yak pastures. Day 14: Padum- Karsha (3600m) in 3h: A pleasant walk through fields. On the way we will visit Pepiting monastery and the Karsha Gompa--one of the most important in Zanskar and dating back to the 15th century. 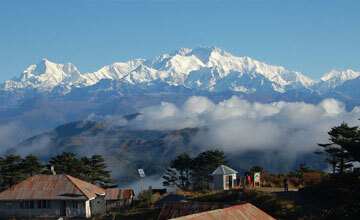 We have beautiful panoramic vistas of the full Himalayan range. Day 18: Snerstse - Hanuma La (4950m) - Lingshet (4000m) in 6h: After a steep climb we reach the Purfi La pass, from where the panorama towards the Ladakhi and Zanskari ranges is quite impressive. Visit of Lingshet monastery.